Steve has the heart of a farmer having grown up on the family ranch south of Huntley, Montana. Upon his Dad’s retirement, Steve took over the operation of the ranch and still farms and ranches along with his wife, Michelle and sons Spencer and Jake. Steve joined Branch 29 in 1993 and has been an active member ever since. He has served as President from 2000 to 2003, as a director from 2007 to 2009 and as Vice President from 2010 to the present. As busy as he is with his cattle operation Steve almost always finds the time to volunteer for any work or projects at our show grounds. Over the years he has volunteered the use of his belly dump truck to help with projects like our loading ramps and the canal road into our grounds. He not only hauled but donated the gravel. He also allows the club to store excess equipment and logs at his ranch. Steve and his boys are usually always on hand for binding and shocking and helping set up the show. Steve and his sons have a modest collection of antique tractors and equipment, Case being the favorite. Steve is always on the lookout for his next project that he and his sons can get working. But Steve’s real love is steam engines and he shares that love of old iron with his family. 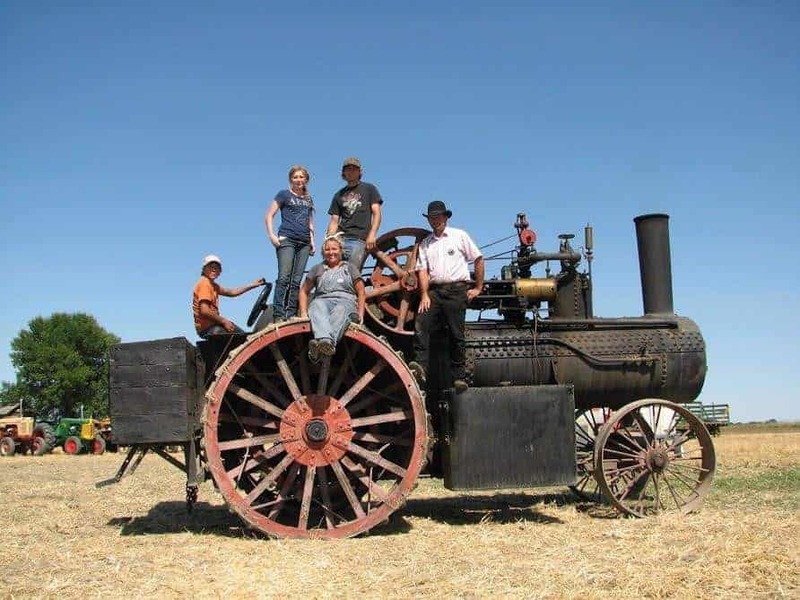 He has a nice 25hp Advance Rumley that he restored and brings to our threshing bee each year. He also helps with hauling other member’s engines to the show. I believe Steve to be a great candidate for Hall of Fame status for his love of old iron and his ability to spread that enjoyment to his children. Steve’s dedication and hard work over the years has been a contributing factor to the growth and success of Branch 29.